A good attack is no good without a good offense. 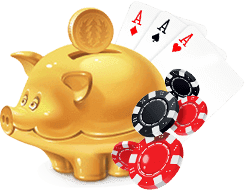 Most Small Stakes poker regulars know how to blind steal 3bet, c-bet and double barrel proficiently. The most common leaks to be seen are defending against such strategies yourself. Every time you fold your BB or SB you are losing money at a rate of -100bb/100 and -50bb/100 respectively. This has always been the case be it 2004 at 2NL or 2013 at 200NL. 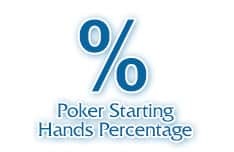 However, as the game has progressed, and as you rise up stakes, you will see less regs opening 3bb 30% of the time and more opening 2bb 70% of the time. This is where folding all but our strongest hand is simply not acceptable. This article will focus on defending against button opens, as this is where regs lose the most money from the blinds. When facing a 2bb open from the button we're getting 3.5 to 1 odds to call. If our opponent is opening a very wide range we can call with almost half our hands. This graph is based on a 2bb open and 70% Button open. Tone this down based on your opponent's button steal% and their bet sizing. 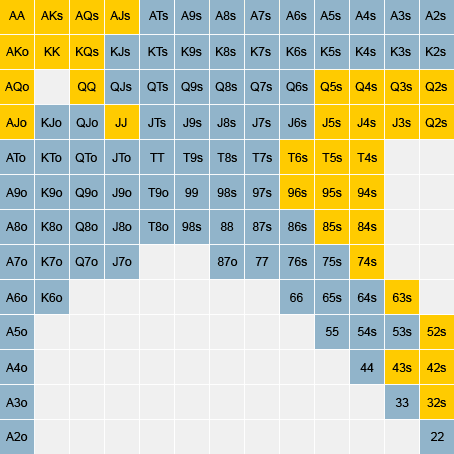 Ideally, we should only be calling half these hands against a 50% 3bb open for instance. In the BB we're flatting most our medium strength hands rather than 3betting them so our 3bet range does not need to be quite as wide as the SB, but will rather be much more polarized. The SB we don't need to defend quite as much as we've less money at stake. However flatting becomes a lot less desirable when the BB can squeeze us out of the pot. For this reason we should be flatting from the SB very rarely, many professionals even recommend not doing so at all. To make up for our lack of flatting we need to 3bet a very wide range. 65% is a landmark number when it comes to 3bet defence. Fold any more than this and someone can 3bet any two cards against you and make a profit from the folds alone. When creating your opening ranges you need to check that you're continuing with over 35% of your opening range against heavy 3betters. Open less vs heavy 3betters, 4bet more, and call more 3bets, do not be folding 65%+ of your range or they'll be making an awful lot of money from you. Adjust the ratio of 4bet bluffs to value 4bets (88 is for value, QJo is a bluff) based on how often villain folds to 4bets. This may seem like an awful lot of adjustments but for poker all our ranges must be dynamic. To contrast this here is a wide button opening range I'd use against a nit who folds the BB >70% of the time and 3bets a mere 5% vs the button. 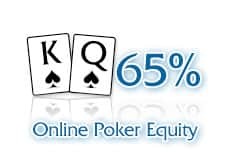 A common leak at Small Stakes poker is folding to c-bets too often. 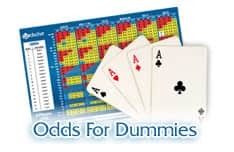 This is most prominent on dry flops such as 7s2c2s or Kc8h5s vs a wide button open where we can expect our opponent to be c-betting almost any two cards. If our opponent c-bet 2/3 of the pot he needs us to fold 40% of the time for him to make a profit, so in order to stop him from doing so we must continue with 60% of our range. Most people don't defend anywhere near enough on these flops. We're only going to flop a pair around 40% of the time on the Kc8h2s flop and only 25% of the time on the 7s2c2s. 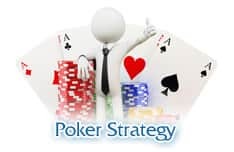 Hence we need to start calling with strong high card hands for showdown value and even some backdoor flushes and straight draws with the intent to bluff the river on a checked back turn. Any ranges suggested within this article are only meant as a guideline. Having a set strategy against all opponents is a leak in itself. Your ranges should constantly be adjusted depending on your opponent. Open less and defend wider vs heavy 3bettors, fold more flops vs a low c-better, flat more vs a wider opener. If someone isn't defending enough in any of the spots discussed in this article exploit them and make some money.